Our previous post took you deep into the world of innovative advertising and product integration. So, if less is more, what exactly is the proper way to combine media with your product? Let’s look at these ten examples of product placement and determine whether they are blatantly obvious or appropriately placed. When you display a product too prominently in media, you run the risk of having the opposite effect. However, when done just right, the same audience would willingly search for your product. Leave a comment & let us know what you think! • The film “Terminal” stars Tom Hanks as a stranded foreigner who is refused entry to the US. He spends most of the movie living inside of the airport, using loose change to feed himself. Where does he feed himself? Well, at the conveniently located Burger King of course! 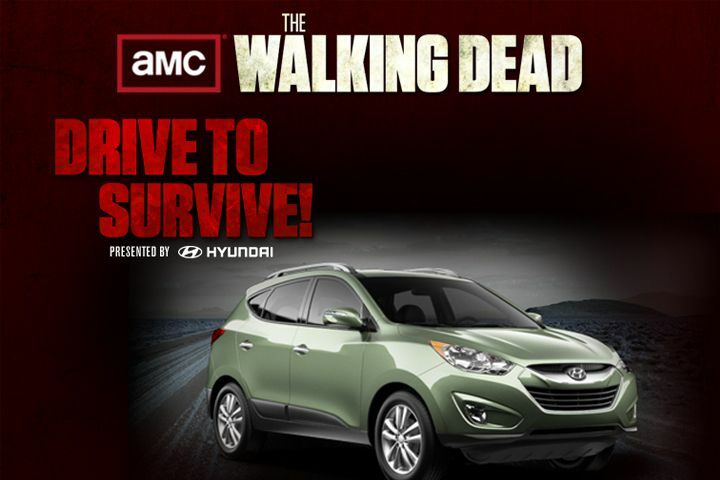 • The hit TV show “The Walking Dead” featured a Hyundai Tucson in the show, and then in a contest. Viewers of the show not only had a chance to view the car, but win it as well. The product inside the show soon became an advertising tactic, in which promotional posters and commercials followed. • Tom Hanks has an affinity for stranding himself in foreign places. The award-winning actor is at it again in the movie “Cast Away”. Not only does FedEx employ the main character, it also provides him with tools for survival. One box remains unopened for the entire movie, displaying the name FedEx in almost every scene, as if being the cause of the plane crash was not enough attention. o Actually, “Cast Away” does not stop at FedEx, as it has an entire character named after a brand. That’s right! 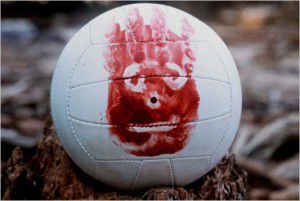 Wilson the volleyball, is actually… a Wilson, volleyball. • Who wouldn’t want to be in the cult classic “Pulp Fiction”?! We know that the quarter pounder from McDonalds wanted to get in on the action. Vincent: No, man, they got the metric system; they don’t know what a Quarter Pounder is. Vincent: They call it a Roy-ale with Cheese. Jules: A Roy-ale with Cheese. • Lady Gaga’s “Telephone” wants us to forget that she murdered Alexander Skarsgård in her last video, so she tries to distract us with burly guards checking their “Plenty of Fish” profiles. Plenty of Fish is a dating service, so it feels like she is grasping straws to make this one work. Call us when A-Skars is back, Gaga! o Same Lady, Same Gaga, Same Video. Since the video takes place while she is incarcerated, she reveals her inner prison fashionista. Apparently, Pepsi cans are easily accessible in jail, because she uses several of them as hair rollers. • “30 Rock” decided to place their product in a meeting about product placement. In this situation, blatant use of the product integration was the punch line of their joke, so the writers executed it perfectly. Click Here for the full scene. • Product integration happens everywhere on the internet, and not always in paid ads. Yahoo! News often displays sets of photos to coincide with their stories. For example, if Geico suddenly fired 25,000 employees, there would likely be the Geico logo in the photo feed. These stand apart from the advertisements on the right, allowing viewers to notice them more. • “Grey’s Anatomy” follows the hectic lives of busy surgical interns. It is no wonder they choose to incorporate Dell laptops and Starbucks coffee occasionally. 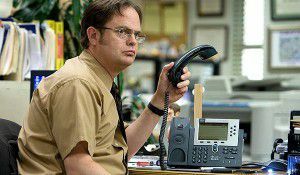 • “The Office” often cuts to Dwight after he pulled one of his malicious pranks. In these scenes, he usually pretends to be on a phone call. Cisco Phone Systems provides the inter-office phone system, clearly showing their logo during these scenes. • In the Wizarding world of Harry Potter, anything is possible. So why was Luna Lovegood running around in Converse sneakers? The real question is, did anyone even notice until the shoes got their close-up? This is a great example of product integration done very well!